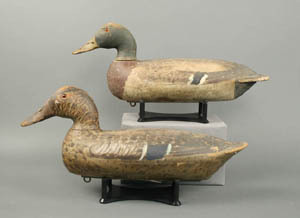 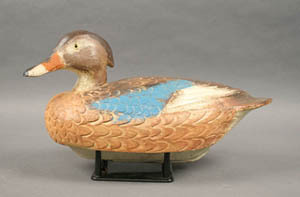 $3047.50 - Pintail hen by the Evans Decoy Company. 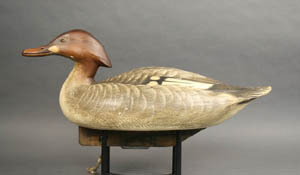 $4600.00 - Merganser hen by Jim Schmiedlin. 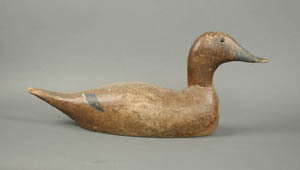 $2587.50 - Wood duck hen by Ben Schmidt. 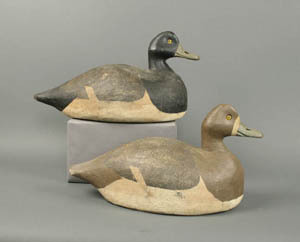 $2300.00 - Pair of bluebills by Frank Strey.